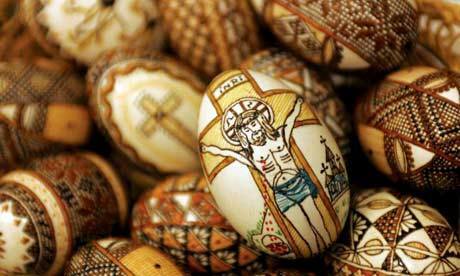 Easter is a Christian holiday celebrating the resurrection of Jesus Christ. It was traditionally held on the first Sunday following Passover. However, Passover occurs corresponding to the paschal moon (first full moon after the spring equinox, also Hebrew for “Passover”), and the dates were constantly changing. Eventually Christians decided Easter would be celebrated the first Sunday after, and never on, the paschal moon, which is why the date changes from year to year. The eggs are to represent fertility and new life, and are also a treat for those who went without candy during Lent, which ends the day before Easter Sunday. 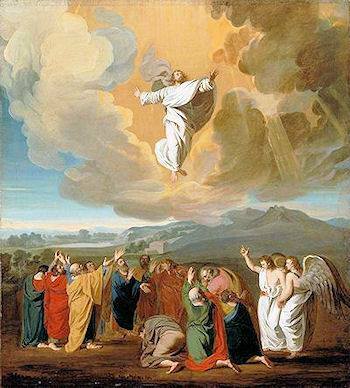 Ascension is a Christian holiday and traditionally celebrated on a Thursday on the 40th day of Easter, or 39 days after Easter Sunday. According to the Old Testament, during the 40 days after his resurrection Jesus often met with his disciples to instruct them in the ways of his teachings. It is also said that on the 40th day he took them to Mount of Olives and they watched as Jesus ascended into Heaven. Many churches will have services where the Paschal candle is put out and have choirs sing and hold social services. Another common practice on this day is something known as a “church crawl” where people will walk from church to church and experience several prayer events. There are three major feasts relating to Mary, the mother of Jesus, known as the Theotokos. 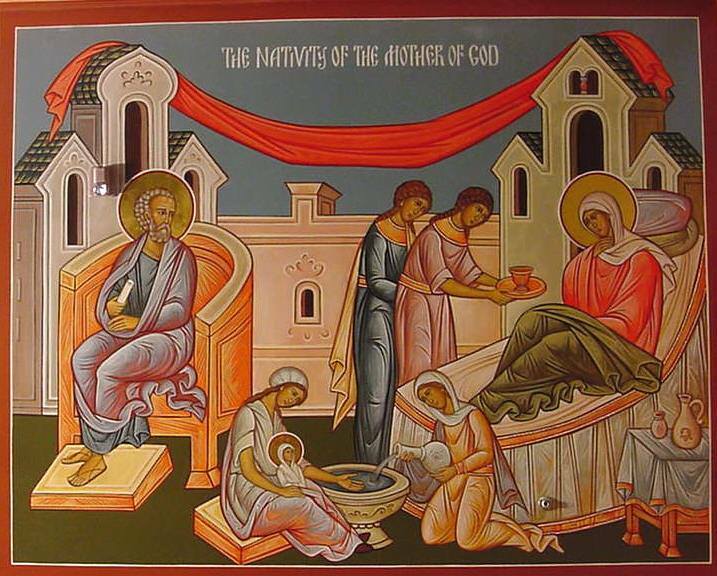 The Nativity of the Theokotos is one of them, being celebrated on the eighth of September. The point of the feast is to celebrate the birth of Mary and her parents, Joachim and Anna. Due to their unwavering fidelity to God, they were freed from barrenness and blessed with the destined child. Mary is important to the Orthodox Church since she is a vessel of humanity who was worthy of being the Mother of Christ. The verses read during this celebration bring light to Mary’s importance and usually include the Magnificat and the Divine Liturgy. Saint Nicholas’ Day is a holiday typically celebrated in Europe by various Christian groups, including followers of Eastern Orthodoxy, Catholicism, and Protestantism. The holiday traditionally falls on December 19th for those who follow the Eastern Orthodox Church. Observers of Saint Nicholas’ Day traditionally attend church prior to an exchange of gifts. However gift giving celebrations and church attendance do differ between the different groups and denominations within the Eastern Orthodox Church, with some putting more emphasis on one tradition over another. 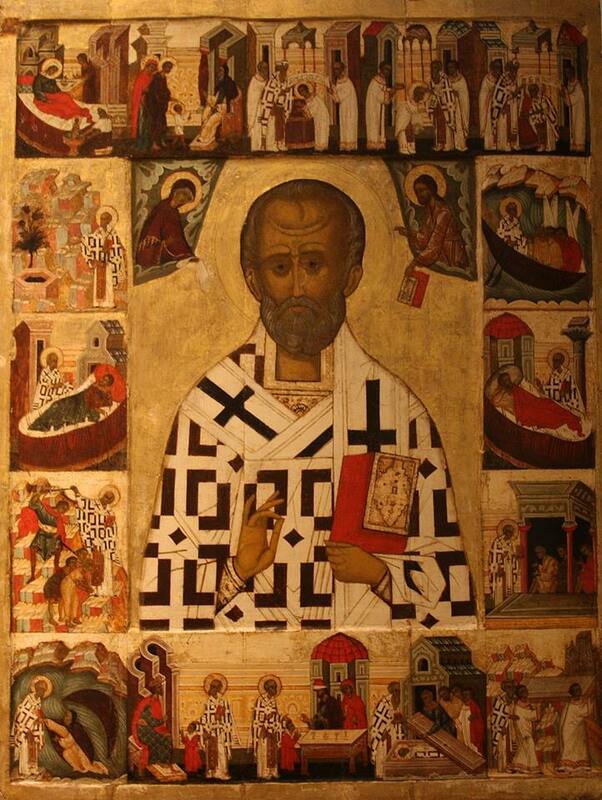 The holiday itself celebrates the life of Saint Nicholas of Myra, a fourth century saint from Anatolia who gained notoriety for giving gifts to locals across the region. Source: Louise Carus,The Real St. Nicholas: Tales of Generosity and Hope from around the World (2002). Celebrated twelve days after Christmas, Epiphany marks the end of the Christmas holiday and the beginning of the Carnival season. Commonly referred to as Three Kings’ Day (Roman Catholic and Protestant) or the Feast of Theophany (Eastern Orthodox), Epiphany celebrates the “revelation of God to mankind in human form,” or the birth of Chris, his visit from the Three Wise Men, and the time up until his baptism. 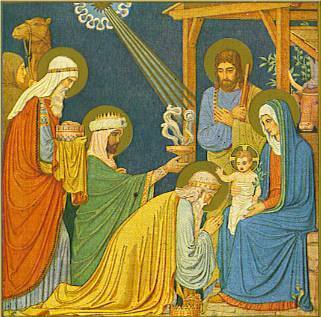 Although Western churches began celebrating Christmas on December 25, Epiphany has been celebrated before Christmas was established. Eastern churches celebrated the birth of Jesus on January 6 and based Epiphany on the Jewish Feast of Lights, also celebrated on this day. When celebrating Epiphany Roman Catholic and Protestant churches emphasize the visit of the Three Wise Men, while Eastern Orthodox churches emphasize Jesus’s baptism by John the Baptist. 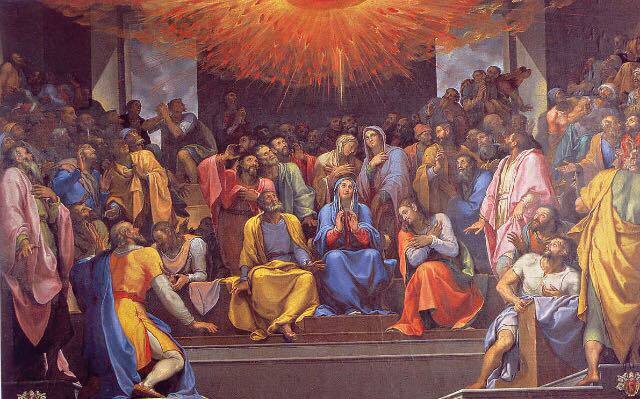 Pentecost is the day that the official church started. According to the Christian point of view, the Holy Spirit came to the first followers of Jesus and brought the church into existence. According to the New Testament, all the first followers of Jesus were together and a sound came from Heaven and filled the followers with the Holy Spirit. Then, the leading follower of Jesus, Peter, preached his first sermon and told everybody that they should be baptized in the name of Jesus and they will be forgiven by the Holy Spirit. Pentecost is on a Sunday and sometimes it’s called White Sunday because the people baptized wore white. Churches celebrate the Pentecost using the color red as a symbol of the power and fire of the Holy Spirit and worship focusing on remembering the first Pentecost. Some churches receive new members on the Pentecost and celebrate the new members that joined the church after the first Pentecost sermon. 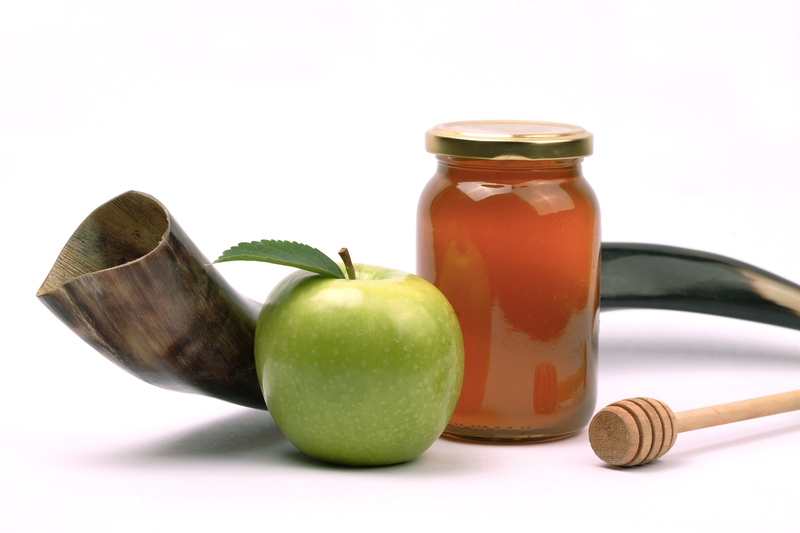 Rosh Hashanah, a Jewish holy day, is celebrated in the fall on the first day of the Jewish year. It commemorates God as the creator and king and is the anniversary of Adam and Eve’s sins and repentance. Rosh Hashanah is additionally the first of the “Ten Days of Repentance” that ends in Yom Kippur. Shofars, a ram’s horn, are blown for repentance. On Rosh Hashanah work is banned and most of the day is spent at a synagogue. The Hebrew phrase “L’shana tovah,” may you have a good year, is used when greeting one another. The traditional foods eaten on this day are symbolic. Sliced apples with honey are eaten to symbolize hope for a sweet year. Challah, traditional braided bread is baked in a round form, which symbolizes full fertility. A prayer is said and bread is thrown in water, which symbolizes the casting of sins, this is called tashlich. Candles are lit and Kiddush, a prayer, is recited. Tzom Gedaliah (Fast of Gedaliah) is a day of fasting in the Jewish religion immediately after Rosh Hashanah, to commemorate and mourn the assassination of Gedaliah ben Achikam. Gedaliah was appointed the ruler of Judea after the destruction of the First Temple in 423 BCE by the Babylonians, and his rule marked a brief reprieve in the violence of the lives of many ancient Jews. He was killed out of jealousy by Ishmael ben Netaniah, however, and the chaos that ensued afterward forced Jews to leave Egypt and the rest of the Holy Lands, effectively losing their control over the region for hundreds of years. The holiday is held on the third of Tishrei (this year on September 16th), and the fasting goes from dawn until dusk. Yom Kippur is the Jewish Day of Atonement which is observed on the tenth day of the month of Tishrei on the Hebrew calander. Yom Kippur marks the culmination of the High Holy Days, or Ten Days of Repentance, and is ten days after the other Jewish holiday, Rosh Hashanah otherwise known as the Jewish New Year. The Jewish Day of Atonement offers Jews the one last chance of the year to repent their sins. Its this one day where Jews fast from all water and foods to pray for their forgiveness. The Jews also cleanse themselves with water to purify themselves as a ritual known as ‘mikvah.’ They also greet each other on this day with “gemar chatimah tovah,” meaning, “May you be sealed for good in God’s Book of Life in the coming year.” Other Jewish customs are performed on this day. Jews also attend a synagogue on this holy day and give extra charity by lighting candles on this day in memory of departed family members. Prayers are praised and blessings are given making this a very holy and cleansing day for those faithful to Judaism. Sukkot is a Jewish holiday that historically commemorates the Exodus, and agriculturally celebrates harvest in Israel. The celebration starts five days after the end of Yom Kippur and lasts for a total of seven days. Many celebrate this holiday with a pilgrimage to the Temple in Jerusalem. 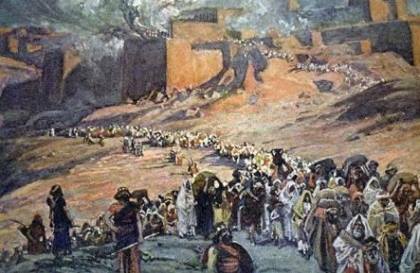 During this week temporary dwellings are built and slept in to commemorate the Exodus while two feasts are also held during the week. 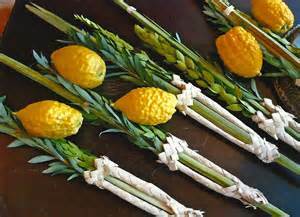 Observance of the lulav and etrog are also held in which a citron, palm branch, two willow branches’, and the myrtle branches are waved during the Hallel prayer in a religious service. This is one of the three Pilgrimage Festivals held throughout the year. 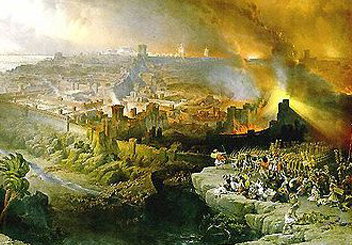 The Tenth of Tevet is a Jewish fasting holiday, which traditionally marks the Babylonian siege of Jerusalem in 588 B.C.E. This event would ultimately lead to the destruction of the First Temple and the first Jewish exile from Israel. In Israel the Tenth of Tevet has also become a day of memorial for the six million Jewish victims of the Holocaust. However, this is not simply a day of mourning and grief. It is a day for self-reflection and repentance of one’s deeds. The act of fasting restricts pleasure allowing the heart to open and be stirred toward repentance and good deeds, in hopes the gates of Divine mercy will be opened. Hannukah, Chanukah, The Eight Day Festival, or the Festival of Lights is the most famous religious tradition in the Jewish faith. Israel was once ruled by the Seleucids who tried to forcibly Hellenize the Israelites. Remarkably, a small band of Jews defeated the Seleucid army and fled to a cave, where they found a Menorah and only one days supply of oil. Miraculously, the oil lasted for eight days, which was commemorated and celebrated as a miracle of God ever since. 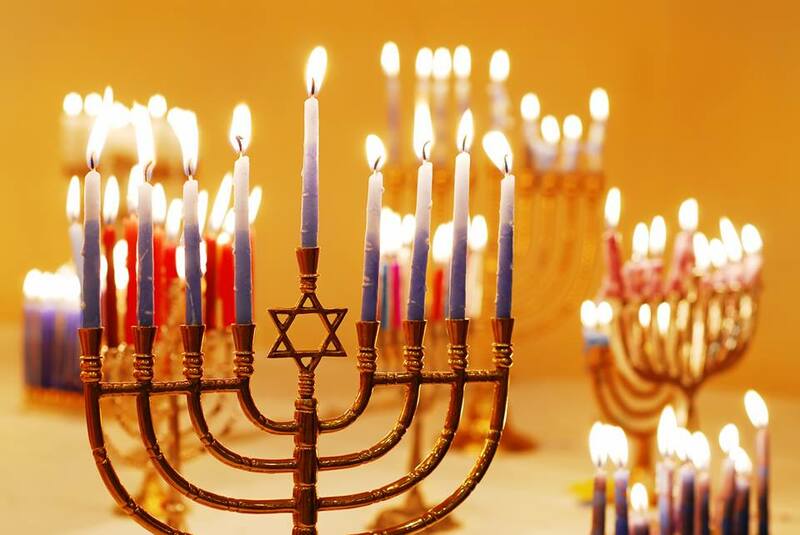 Those who practice Hannukah light a candle on their Menorah, one each day for eight days, including the lighting candle in the center. This is to literally and physically commemorate the great miracle which occurred in ancient times. In contemporary times, giving gifts is traditional to combat the ever so popular Christmas, typically one gift each night. Another holiday tradition is playing dreidal, which is a gambling game. 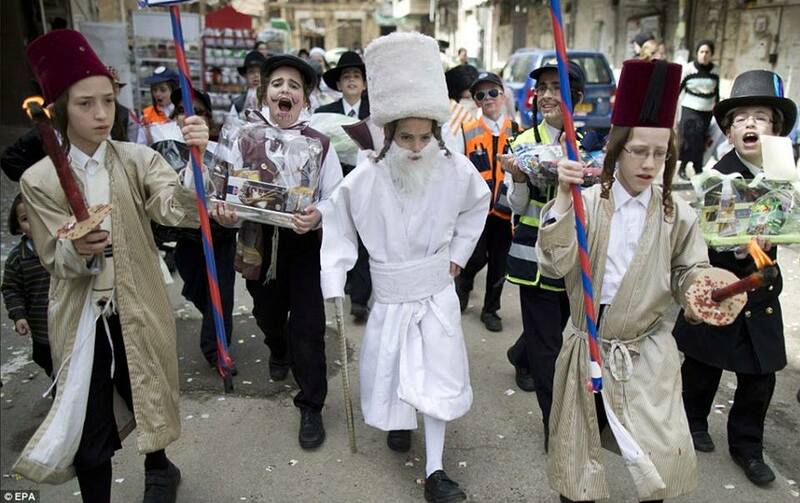 Purim is ultimately a celebration of Jewish survival against all odds. The story comes from the Book of Esther (M’gillah). Traditionally, the Book of Esther is read at both morning and evening services on Purim. Haman, King Ahashverosh’s prime minister, plans to kill all of the Jews of Persia. Queen Esther and her cousin Mordechai foil his plan and save everyone. Haman, the enemy of the Jews in this story, is made into all those who have tried to destroy the Jewish people throughout history; which is how Purim turned into such a celebration of life. There are parades, Purim-spiels (parody skits of the Book of Esther), baskets of food are sent to friends, and gifts are given to the poor. It is a wonderful time for family and friends to gather and celebrate. 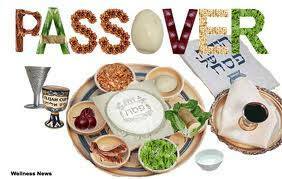 Pesach, also known as Passover, is a holiday observed by the Jewish community annually. Passover is commemorated with a festival that celebrates the Israelites’ freedom from slavery in Egypt. Additionally, Passover honors their independence under Moses. The holiday commences on the 15th of Nisan, the first month of the Jewish year. It is celebrated for either seven or eight days, depending on the branch of Judaism that is practiced. Perhaps the most distinct characteristic of the holiday is the home service. The seder, translating to “order” in English, refers to a ritual in which generations of family members recall the story of the Israelites’ liberation in Egypt. Ultimately, the holiday is crucial to the Jewish community and allows for recollection of the people’s past. Shavuot, also known as the Festival of Weeks, is considered one of three major festivals in Judaism, alongside Passover and Sukkot. 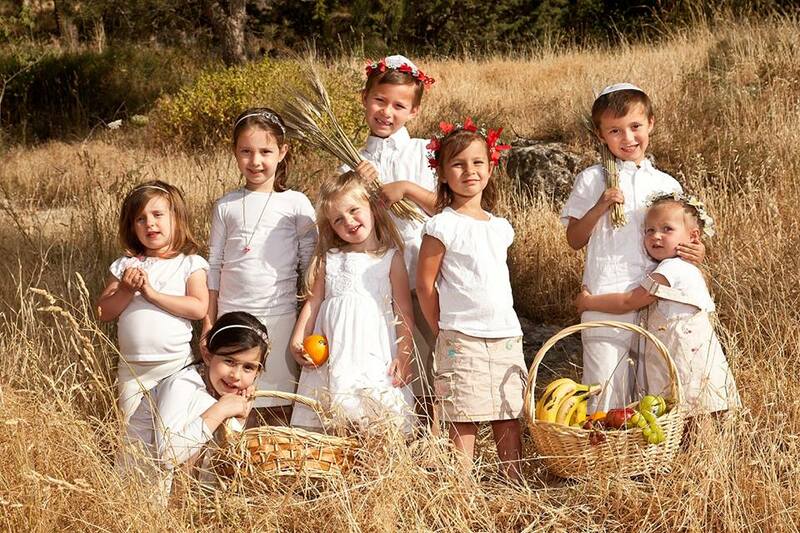 It celebrates both the first harvest, and the anniversary of the day God bestowed the Torah to the nation of Israel. Those who participate in Shavuot are forbidden from working, and instead are expected to study the Torah, pray early in the morning, and eat a dairy meal.